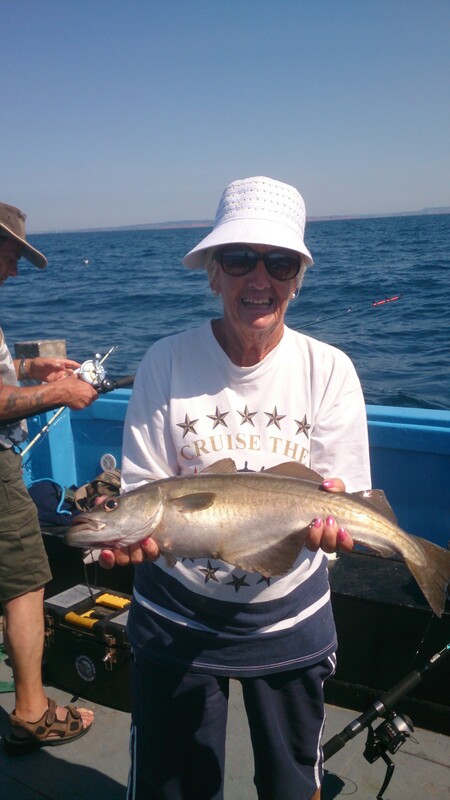 Our Reef Fishing trips last around 3 hours and are ideal for families with older children or groups to enjoy some varied fishing time on the sea. This trip is perfect if you would like to increase your fishing knowledge or maybe just catch a wider variety of fish than on our Mackerel Fishing trips. Our crew are on hand to give you as much or as little guidance as you need and your rod, tackle and bait is all included in the price. Of course we cannot guarantee that you will catch fish, but your skipper will do everything they can to get you on the fish and casting appropriately. Whatever you catch you can keep – or release of course! Please note that there is no cover on the boat so you will need to dress like a fisherman appropriate to the weather you are sailing in. We have toilets and basic refreshments on board and well behaved dogs and assistance dogs are more than welcome! Simply take a look at the timetable below to find a trip to suit you – we look forward to welcoming you on board!